This Champagne is a great classic. Exuberant ripe fruit bouquet and toasted aromas. This is a structured wine with a vivid attack in the mouth and a suple mouth. Its wildeness and richness make of it a meal wine by excellency. Brut Premier is caracterized by fruits and freshness, roundness. 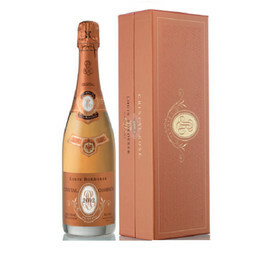 This Champagne classique Brut Premier of Louis Roederer House is served at 7-8°c and ideal for the aperitif.